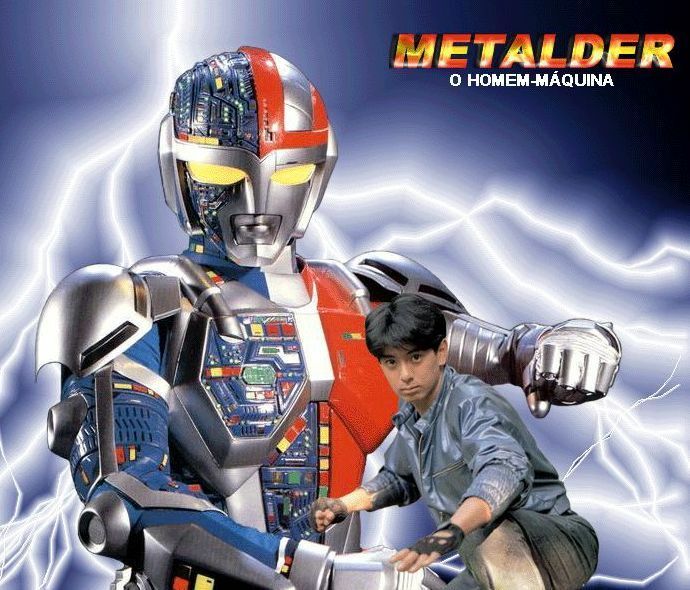 After dropping Juspion as one of their side projects, the folks from Dead Fish Fansubs is starting to release subbed episodes of one of darkest and and one of the most visually stunning Metal Hero titles around entitled, Chojinki Metalder! Currently, they are subbing the series in an unusual order, to check their status of this project, visit their News page. 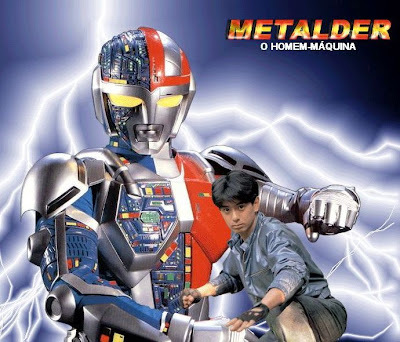 In 1945, Dr. Ryūichirō Kōga designed Metalder as a top-secret weapon for the Japanese Imperial Army for use in the Pacific War, modeling it after his late son, Second Sub-lieutenant Tatsuo Kōga. However, the pacifistic Dr. Kōga put Metalder to sleep in the Silver Carcass base and left for the America to work for NASA. During the 42 years, Dr. Kōga's former colleague Major Muraki became the evil God Neros, ruler of Neros Empire. God Neros sends out his massive armies to kill Dr. Kōga, who learned of their organization and returned to Japan to activate Metalder. Kōga desperately tries to activate his android creation, who he named Ryūsei Tsurugi, but the android is unable to understand what to do. In order to give Ryūsei a "purpose", Kōga runs out of the Silver Carcass base, allowing Neros' troops to kill him. Suddenly seeing his creator die, Ryūsei becomes shocked, and soon is beaten by Neros' troops. Ryūsei becomes fueled with rage, evoking the conversion to his 'true' form, the android known as Metalder. After a brief battle with Coolgin (which he loses), Ryūsei goes onward, meeting future friend Mai Ōgi.